The 32 Olympic Swim Stadium, clad in period board formed concrete. California builders have historically used board form concrete in signature buildings, such as cathedrals and city halls, with an assurance that is surprising to the visitor. In the wintry northeast, period use of this material is relegated to the utilitarian, like barn foundations and industrial structures. To see such a rough, humble and organic material serving in such an honored way, covering large wall areas is pleasing, once you get used to it. 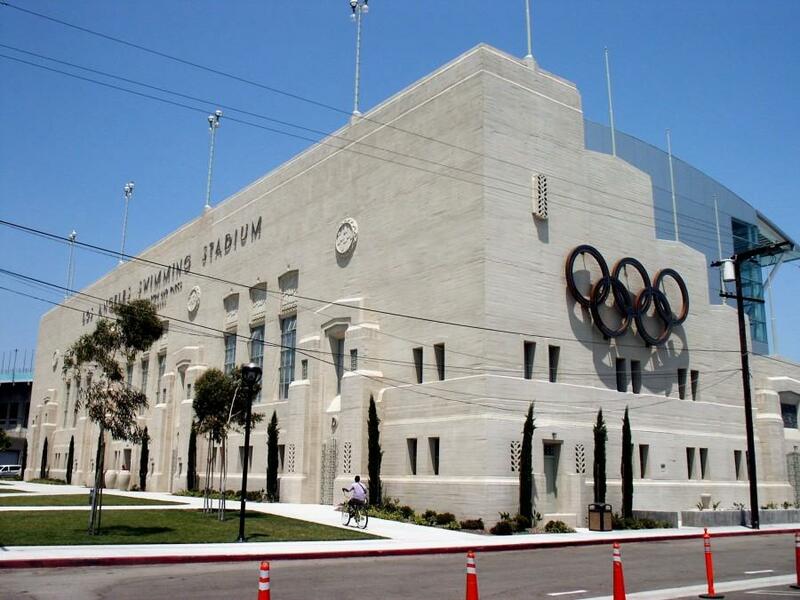 So it is with the Art Deco Olympic Swim Stadium, built for the 32 Olympics. Even in sunny, and dry, Los Angeles, however, time and the elements have done their part. 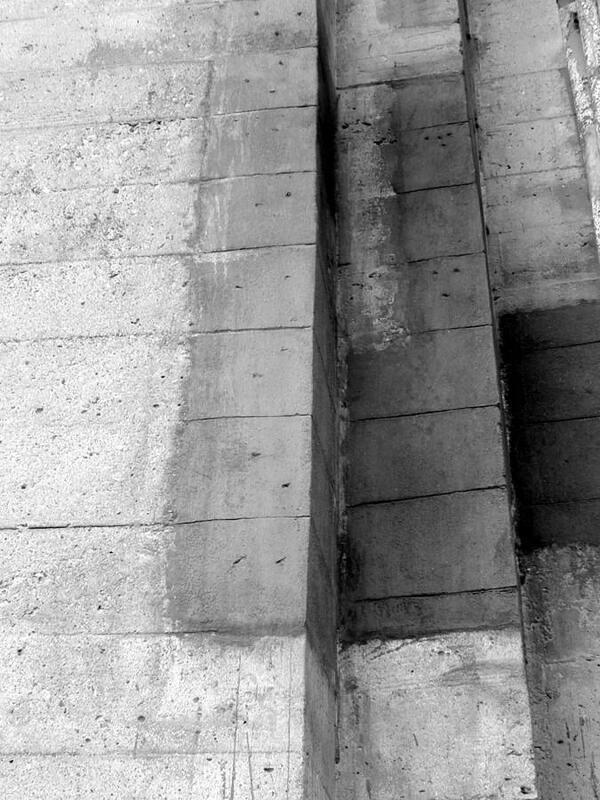 As moisture penetrates, the underlying structural mild steel oxidizes and expands, “rust jacking” the concrete surface apart. As part of an adaptive re-use project by the City, restoration of this material was accomplished by CGI Preservation of Los Angeles. As seen below, the damaged material is removed, the condition of the steel rebar addressed, and the concrete patched, tooled to plausibly represent the original board formed surface. CGI Preservation is a Member of the Guild of Building Artisans. 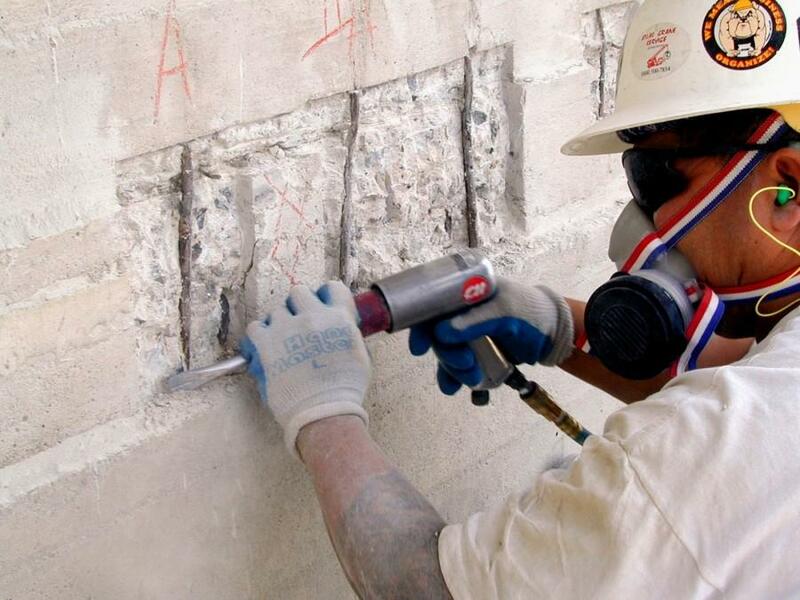 Carefully removing damaged concrete to sound material, and restoring the structural steel. The finished concrete, tooled to match the adjacent board formed work. This entry was posted in Architectural Conservation and tagged California. Bookmark the permalink.